SugarPea Designs KNIT WIT SugarCuts Dies SPD-00248 at Simon Says STAMP! 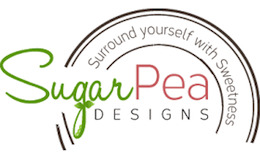 Success, SugarPea Designs KNIT WIT SugarCuts Dies SPD-00248 has been shared! SugarCut – Knit Wit is a coordinating die set to the Knit Wit stamp set (sold separately). Use them together to create quick and professional looking packaging and accents.